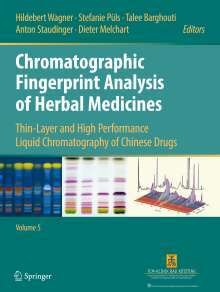 Der Artikel Hildebert Wagner: Chromatographic Fingerprint Analysis of Herbal Medicines Volume V wurde in den Warenkorb gelegt. Ihr Warenkorb enthält nun 1 Artikel im Wert von EUR 197,13. Volume V of this manual provides an overview of the analytical investigation of numerous additional Chinese herbal drugs that are commonly used in Traditional Chinese Medicine (TCM). 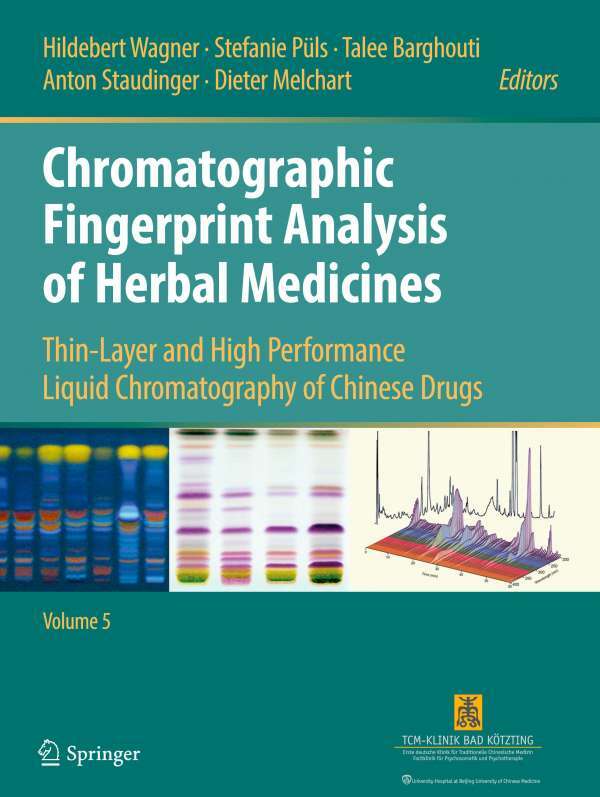 It illustrates the detailed chromatographic analysis of the main compounds with colored TLC photographs and HPLC peak profiles, and also discusses the bioactive properties, pharmacological and biological activity as well as the therapeutic applications of all single herbal drugs. Together with Volumes I-IV this volume represents the most comprehensive overview of analytical studies of these drugs listed in the Chinese Pharmacopoeia 2010. All the experimental requirements, including the extraction procedure for the Chinese drugs and the solvent systems used for the development of the TLC and HPLC analytical monographs, were adapted according to the latest findings published in international journals and the high standards of the European Drug Regulatory Authority. Therefore Volume V is also a must-have manual for researchers and pharmaceutical laboratories dedicated to TCM.